5 question with Marcus Taveira, our Brazilian support specialist. We are excited to share news with you. Our social media team has added additional, professional support. Marcus Taveira, our Latino sunshine, joins Peter Bucek to help our community by responding to technical and customer care enquiries on Facebook and Twitter. Marcus responds in Portuguese and English. We are pleased to welcome Marcus to our social media team and introduce him to YOU. 1. Marcus, please tell us what brought a Brazilian to Czech Republic and would you describe the major differences (or similarities) between Latinos and Czechs? 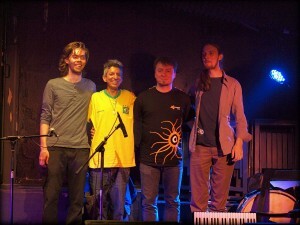 I have a good musician friend who is an amazing guitarist that came to Prague to start a Brazilian music project. After one year, this friend invited me to visit and travel across Europe. I came to Prague and the city got me. All the charm of this place made me decide to try a new life here. 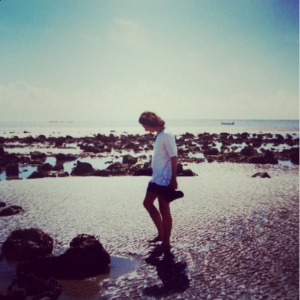 For that I had to move everything I had settled in Rio - home, job, my engagement… At the end I managed to do almost everything, but could not convince my fiancé to come, which broke my heart. The biggest differences I could point out is that for someone from Latin America, the locals are way too closed, sometimes even rude (if you do not speak the language the situation can be worse), but that could be because of the weather and the previous political system they had. But once you get to their hearts, you will have a friend forever. 2. How would you characterize the change in avast users within the three years you have been working at AVAST? Do the problems, communication style, and channels change? Since I came to work here, the number of users has grown tremendously. Brazil has become one of the top countries for AVAST, with millions of users. Since I am Brazilian, my goal is to adequately communicate with my people, and that is my day-to-day work. The issues we see are common questions that most users have, for example, how to handle the security of their computers, what to do when they have an infected PC, and what is the best product for their needs. We have expanded our channels, and nowadays we watch social media channels, rating and review sites, forums, discussion lists, etc. What is important, always, is to get as much information as the users can provide, so that we can assist them in a fast and accurate way. 3. Do you see any difference between providing customer care via social media and traditional support channels? What is Brazilians’ favorite way to communicate online? Social Media is wide-spread nowadays, but when the subject is support it is still a crawling baby. The most efficient way to get assistance is to use the support channels provided, for example the ticketing system, online chats, reporting pages - these are the most effective way to send issues, reports, and logs. Brazilians are responsible for a huge share of activity on social media nowadays, since the Orkut times actually (RIP Orkut), and now spread over the others as well. But even with that, most users understand the importance of using the support channels we provide. I think is also related to privacy somehow! 4. What are typical questions/problems of Brazilian users and what was the most unique/funny/remarkable question you recall? It depends and may differ according to the moment. But for sure most of the cases are related to one simple thing - no one stops to read about what they get. Maybe it is related to the accelerated way of life we have nowadays, but I notice that no one has patience to read carefully what they receive. The most remarkable moment was when I got into an email from a lady called Pérola, a poetess and writer from São Paulo, asking for help saying that she was too old to understand the “IT language.” So I called her to better understand what I could do to help, and to my surprise what I found was a brilliant person, over 70 years old, that became a good friend.